Our pursuit for culinary discoveries led us to the small town of Melaka. Our travel guides and various websites kept mentioning one thing: Melaka's specialty, the famous chicken rice balls. Chicken rice balls, chicken rice balls, chicken rice balls. CURIOSITY PIQUED. When we arrived, we picked the stiltiest stilt house in town and our friendly hosts immediately started preparing dinner and our “beds” in the large communal room. After stuffing our faces, we stepped outside and I realized that I could see the milky way for the first time. In this post, I’ll tell you all about my favourite project (so far)! This was the longest project to date, and definitely a change of pace compared to my usual portrait assignments. Claudia, Val, and I booked this 2-day tour across Cat Ba and Ha Long Bay. It included 5 delicious meals, kayaking, swimming, and sleeping overnight on the bay and watching the stars (just kidding, just the clouds). How does a Vietnamese-Canadian prepare for his first trip to Vietnam? A few weeks ago, Claudia and I braved the cold in the latest 1-day edition of Walk the Region / Marcher la Région. Just got back from a little getaway at Claudia’s parents’ cabin in Chertsey (Chalet Silva), located about an hour and a half away from Montreal. I went with Claudia and her friend Alice from her urban planning program. Our intention was to relax in the cabin, enjoy the outdoors, and do some work. Two of those things, we did extremely well! We also held ourselves to a strict NO INTERNET policy: NO INTERNET (except maybe to follow the elections results. And to look up recipes. And hey we need to look up the directions to the regional park. And how do we say pineapple in vietnamese again? How old is Justin Trudeau?) A few months ago, I wrote a blog post about our winter trip to the cabin, when the lake was still frozen and a blanket of white covered the trees. Things looked completely different this time. For starters, check out these photos of the Lac Creux across the seasons. At this point the only logical thing left to do is to return to Lac Creux this spring (and maybe for once I’ll try to find out if there’s any truth to its name). We then drove through winding roads flanked by colourful trees to arrive at the Parc Régional de la Forêt Ouareau, only 30-minutes away from the cabin. The hike was magical! The forest floor was covered in leaves of green, brown, orange, and red, which was wonderful, but we couldn’t see whether we were stepping on boulders, soil, air, or mud. We were walking through a fall wonderland. A beautiful, shimmering, potentially ankle-shattering, golden fantasy land. Ambitious kids we were, we decided to go on the trail called the Summit™. When we finally reached the somewhat underwhelming summit, we stopped for a tea & brownie break. Then when continuing our hike we discovered what was the real Summit™. In other words we did what I always do: 1) settle on a spot for lunch, 2) finish eating and continue, 3) find a way prettier spot just ahead. Oh well. Brownies were still good. Then there was the obligatory it’s fall let’s throw some leaves in the air shot. By the time we got back, other friends arrived to join the fun for an evening in the spa, followed by rounds of gladiator charades. It never gets boring here! You can rent it too you know? Check out the Chalet Silva rental page. Thanks for reading! After a 10-hour ferry departing from Italy, we arrived in Split (Croatia), a beautiful coastal city that acts as the central hub for many ferry connections in Croatia. It’s kind of the Berri-UQAM of harbors. 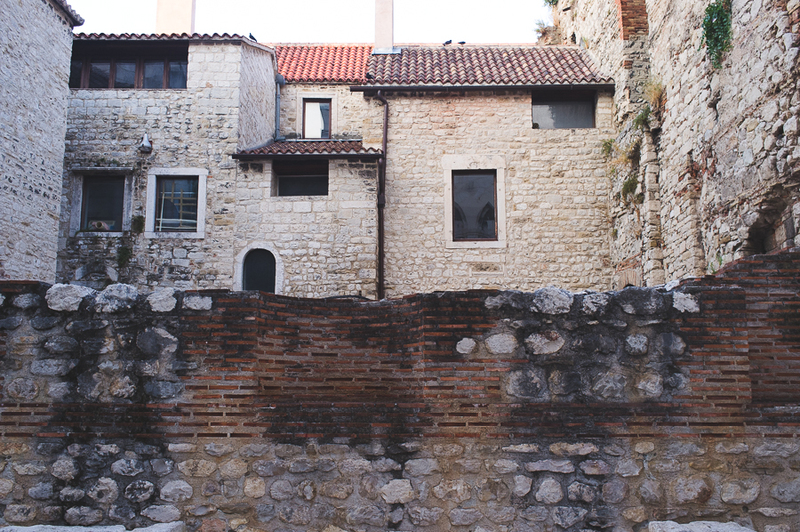 Just a few steps away from the water is its main attraction, Diocletian’s Palace, an old palace built in the 4th century. He had it built for him to use as a retirement home actually. And now, several hundred years later, it’s filled with tourists, restaurants, apartments, and clothing stores. But despite this, you can still see and appreciate the old architecture. And everywhere you see vegetation clawing its way past worn out stones and cracks in the walls to reclaim its place. On the side of the palace, market criers promise you the juiciest plums and highest quality selfie sticks. Navigating inside the palace is interesting. You have to venture through the little maze-like streets, avoid the occasional dead-ends, sometimes pass through restaurant terrasses to get to where you want to go, and at the same time you’re swimming in a sea of tourists. To avoid the crowds and have a chance to photograph the palace, I returned at 6AM. Calm, peaceful, and pigeons. This is the Cathedral of Saint Domnius, the oldest Catholic cathedral in the world that has yet to require major renovations despite still being in use. I was sitting across the entrance enjoying my coffee when I spotted the first person to enter the cathedral. A few hours after she opens the gates, hundreds of visitors will be lining up to enter. On the Northern side of the palace, the statue of the Bishop of Nin invites you to rub his toes, apparently for good luck. He also looks like he’s about to drop some sick rhymes. If you ever go, my recommendation would be to leave the map behind and just start walking. Early, if you can. You’ll end up discovering beautiful hidden corners that are absent from all travel guides. We’re walking across Montreal! For fun! (Sort of!) This weekend Claudia and I will be walking across Montreal, starting from good old Saint-Jean-sur-Richelieu and ending in Verdun. The tour is organized by the non-profit Marcher la Région (Walk the Region). It's the second straight year we're doing the tour, and we’ll be discovering Montreal's hidden corners, learning about the history of different neighbourhoods, and camping along the way. The tour is semi-guided, so we walk at our own pace to predetermined pit stops, where locals (or one of our three Marcher la Région knowledgeable hosts) talk about the story of the neighbourhood. The evenings are also fantastic. After a full day of walking in the sun, kicking off the shoes and relaxing is the best thing. Last year we concluded one day with a pool and some ice cream, and we finished the next by cooking a massive meal together and spending the night around a campfire in the woods. Some join this pilgrimage because of their interests in urban planning, others want to discover more of Montreal. Some just want to walk and meet interesting people. And of course there are those like me who see it as a great opportunity for a photo walk. And I’m packing light this time! Only the Fuji x100 will be coming along with us. One lens, one camera, 2 pairs of shoes. That’s a weird packing list for me. I also just got back from MEC and geared up for the walk. If photography equipment lust is my number one weakness, outdoor gear lust follows it very close behind. Holy crap it’s amazing to see those walls of hiking backpacks, tents, sleeping bags. Heck even the water bottle or carabiner walls look super attractive. Am I the only one who gets this rush of excitement upon entering MEC every time? In any case, I have overspent and here I am now overly prepared for this walk. It’s going to be fun and lots of pictures will be taken hopefully. And if you’re subscribed to Postcards from Alex, who knows, maybe one of them might come from this walk! Make sure to check it out here! Music is always playing in the background, whether I’m in a photo session or editing pictures on Lightroom. Lately I’ve been listening to a lot of acoustic folk. The vibe is contagious. You listen to The Tallest Man on Earth, Edward Sharpe and the Magnetic Zeroes, Of Monsters and Men, Sufjan Stevens, and suddenly you feel the urge to go on a road trip somewhere. If you can’t, you settle by following amazing photographers on Instagram that share this vintage folk vibe to their images. 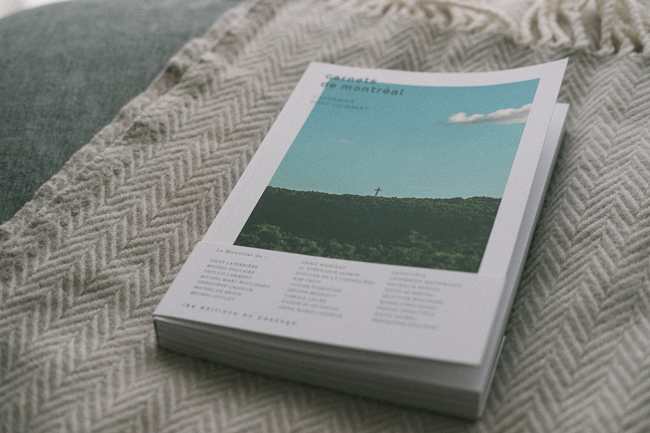 Check out pages like @livefolk and @folkmagazine, and photographers @lukegram & @alexstrohl. It’s a mix of landscape, adventure, lifestyle, traveling photography, wrapped up in a nice folk-y bow. I’m sure this style of photography is a fad, and there are recurring clichés, but I love it. For example, people in these photographs are usually small in comparison to the landscape, giving us a sense of scale of their surroundings. Usually, they’re not facing the camera, or their face isn’t visible. Probably makes it easier for us to imagine ourselves being where they are. And aesthetically, there’s usually a compressed dynamic range that lends a nostalgic film look to the photographs. So you scroll through these for a while, you get jealous of their photography, and then you look back at old pictures and search for images that show this sense of adventure and outdoor bliss. I found these old pictures taken at the cabin of my friend Rosie. It feels like such a long time ago. I had completely forgotten about this fun trip and I’m glad I was able to document it. BRING A CAMERA WHEREVER YOU GO PLEASE. Claudia sometimes braids her hair. If you’ve been following me on Facebook, you may have noticed that I’ve been going back in my photo archives and sharing some of my favourite moments. Browsing through thousands of memories, it’s easy to get lost. You feel nostalgic. Then you find random hilarious pictures you forget the context of like this one. I’m sorry. I don’t have any explanation for it.